Dr. Marinelli starts off in his introduction by explaining first that the critics do not understand Word Faith. Rightfully, Dr. Marinelli identifies the gospel based on scripture. He quotes 1 Corinthians 15:1-4. He then says, “Anything that contradicts these basic elements of the Gospel is “heresy”, but we should resist going beyond these in pursuit of heresy.” (P. 7). The author seems to be ignorant of both history and competing belief systems. The Church created confessions that represent scripture due to the numerous errors it had to defend against. These confessions discuss the Trinity, the Person and Work of Christ, and many other doctrines related to the Church and Man. Groups that get these wrong include: Jehovah’s Witnesses, Latter Day Saints (Mormons), and the Oneness Pentecostals. So, history has demonstrated that the Church has had to go beyond what the author believes to be necessary. Would Dr. Marinelli dare raise these points against the Early Church Fathers? These confessions can be seen at: http://www.light-after-darkness.org/index.php?page=OB. On page 11, foot note 6, Dr. Marinelli discusses, in short, one of the two main heretical teachings found within the Word Faith Movement. Known as JDS, Jesus Died Spiritually, or BAJ, the Born-Again Jesus Doctrine, this doctrine teaches that Christ took on Satan’s nature and had to be Born-Again. Other writers also discussed this topic. They are Gordon Fee, D.R. McConnell, Hank Haanegraft, and Robert Bowman. Now, setting the stage, Dr. Marinelli would rather muddy the waters by saying, “The point being made here is that many historical evangelicals have taught that Christ was “forsaken”, or separated from the Father’s fellowship on the cross, and viewed as a sinner.” He intentionally tries to imply that the JDS/BAJ doctrine is similar to orthodox positions held by many within the Church because similar terminology is used. Dr. Marinelli glosses over the re-defining that is made by Word Faith teachers have done regarding “Spiritual Death”. They have re-defined it by saying Christ took on Satan’s nature. The position held by the Reformers is that “Spiritual Death” is falling out of favor with God. Many other evangelicals teach that “Spiritual Death” is a separation from God. Can the casual reader see the difference between the orthodox believers and the Word Faith teachers? Let’s first look at what the Bible teaches regarding man being a god. Jesus answered a group of Jews and said, “Is it not written in your law, ‘I said, you are gods.’” Does this mean that humans can become God? This text should not be used to support the view that we are (or can become) little gods, for such an interpretation is contrary to the overall context. Jesus is not speaking to pantheists (who believe that God is everything and everything is God) or polytheists (who believe in many gods). Rather, he is addressing strict Jewish monotheists who believe that only the Creator of the universe is God. So, his statement should not be wrenched out of this monotheistic context and given a pantheistic or polytheistic twist. The obvious understanding is that as a “Judge”, one presides over others as like God. 14But when the apostles Barnabas and Paul heard of this, they tore their clothes and rushed out into the crowd, shouting: 15″Men, why are you doing this? We too are only men, human like you. We are bringing you good news, telling you to turn from these worthless things to the living God, who made heaven and earth and sea and everything in them. Based on the previous scriptural quote, perhaps Dr. Marinelli should have heeded his own words from page 49, “Therefore the only safe historical point of reference to use is that of the book of Acts – a history of the first converts. Now the quote in total that Dr. Marinelli uses, “The Orthodox concept of salvation as deification undergirded the contemplative methodology implied in the illumination view. Only the “pure in heart” see God, and purity comes only by divine grace in the economy of redemption. Those who are redeemed through the incarnation, whom the NT designates “sons of God” and “partakers of the divine nature,” are deified; that is, they become created, in contrast to uncreated, gods. “God became man that we might be made God,” said Athanasius of Alexandria; and Maximus Confessor declared: “All that God is, except for an identity in nature, one becomes when one is deified by grace.” With this personalistic view of salvation, Orthodoxy diverged from the juridical emphasis which the West inherited through Augustine of Hippo, whom Orthodoxy could not comfortably accept as a Doctor of the Church. Orthodox theology viewed man as called to know God and share his life, to be saved, not by God’s external activity or by one’s understanding of propositional truths, but by being himself deified.” The idea of man literally becoming a god is not implied in the text. No where do they have powers to create with their tongues something out of nothing. These men simply see themselves as partaking of the Divine nature and having had their natures changed. Bowman pointed out 20 years ago that the doctrines of deification allegedly taught in the Eastern Orthodox Church were not from the aspect of man ‘becoming’ a god but from the aspect of a man (such as Moses) manifesting the power of God. The term was thus clearly metaphorical. Now, I will add, Kenneth Copeland comes from a westernized Protestant background. To use the Eastern Orthodox to support his errant theology is a red herring. Later in chapter two, the author sets the stage by committing the sin that he accuses the Word Faith critics of making. In his discussion, Dr. Marinelli misrepresents Calvinism with a Straw-man argument. And, he quotes only part of what Calvin writes. This has been the M.O. of many of Word Faith apologists. One of the endorsers of his book is Word Faith apologist Troy Edwards Sr. of “Victory through the Word Ministries”, who employs this very same tactic. 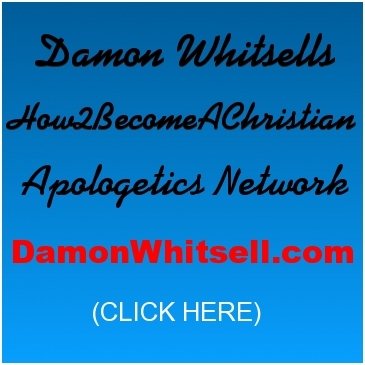 Please visit CARM, the Christian Apologetics Research Ministry at www.christiandiscussionforums.org to witness for yourself. To read, go to the Word Faith section located in the Heterodox Forums. The following SUMMARIES OF OVER 1400 JEHOVAH’S WITNESSES CRIMINAL and CIVIL COURT CASES will provide the BEST and MOST ACCURATE info about Jehovah’s Witnesses, their beliefs, and how they ACTUALLY practice such day to day.